Was Building It For A Mates New Pad But Due To His Work Atm Looks Like It Wont Be Resurfaced Until Early Next Year And Dont Have The Room To Hold On To Until Then. Price: $600 As Is Can Be Regestered But Havnt As It Has Been Sitting Around. Also Have A Brand New Set Of 4 Vy Sen Sig Copies In 19" They Are The Good Copies That U Cant Tell The Difference Not The Crap Copies That Have The Extra Fin On Each Spoke. 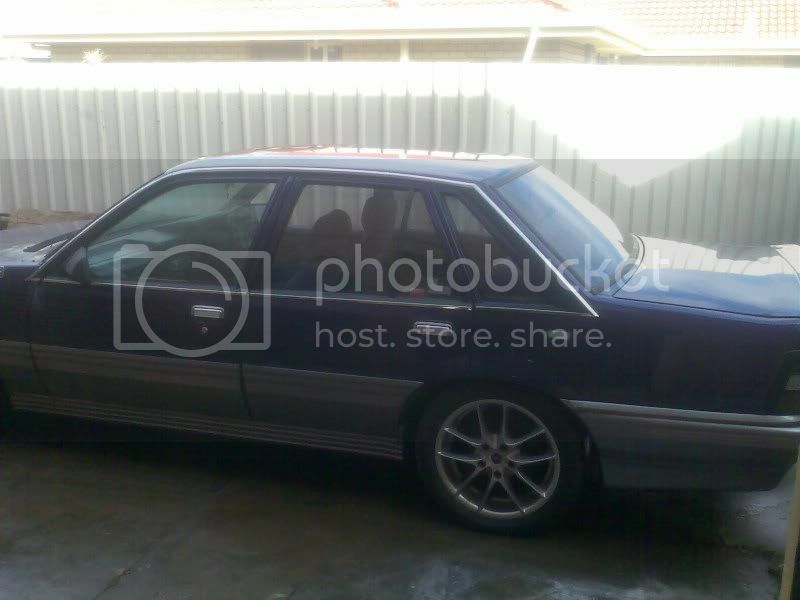 Price: $1,800 Or Swap For A Van That Can Fit A Quad That Is 6x5 In Size So A Lwb Maxi Etc. Need It Gone Seen A Few Other Rigs I Would Like.make Offers Pics Will Be Up By This Sun. I've got a near complete RB30 motor, was running when come out of car, unsure of kms on it, is a series 2 block. also got a rb30et block and head, been sitting in the weather, still has pistons and **** in it, spun bearing. prolly ****ed completely. $50 bucks for both, pickup in Murray Bridge. FOR SALE- Cleaning out shed. I have a heap of tyres for sale. 16's, 17's, 18's. Some almost new, others just above or on the tread indicators. Starting from 20 bucks each. Not looking to be greedy. Come check em out and make an offer. HTC Diamond as new, in box, with all accessories, also will come with Motorola bluetooth stereo headset (purchased for $160) -- whole lot $350. Phone is unlocked. Outside Ventian to fit VB-VC (not sure what else it will fit) -- 4 pack of Jack Daniels. Also why cant I view the 16' Chaser thread? Im banned? Last edited by RB JET; 30-08-09 at 19:05.
vn-vs efi v8 heads with rocker covers complete.more of an eoi but looking for $220? Last edited by white bt1; 29-08-09 at 20:38. Last edited by BLOWN R8; 03-09-09 at 21:14. 17 or 18" wheels for the daily, I'm considering the following (loosely in order). A Tan Velour S2 Padded Glove Box. A Tan Velour Padded S2 Center Console Box Lid. Also have a few various gutter chrome strips and Genuine VLT head and rocker cover. EOI. Last edited by XCHASE; 03-10-10 at 17:33. Last edited by PATTO91; 31-08-09 at 22:11.
im still looking for a good condition beige steering wheel. this thread is crap!!!!!!!!!!!!!!!!!!!!!!!!!!!!!!!!!!!!!!!! !.to hard to track adds and when it gets 2 5 plus pages no one will back track to see peoples add's. Obviously you guys dont read other forums where this exact system works fine. Just need a mod around to keep the **** like this out of here. Now STFU and buy my calais mags!